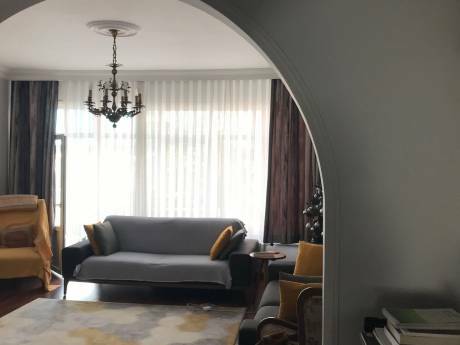 This is a new build, luxury apartment, very well situated in the central European side of Istanbul, situated in Besiktas, 10 minutes taxi ride from Nisatasi and Ortokoy. The apartment has three bedrooms and three normal double beds with one additional fold out double bed so can sleep up to 8 people in three bedrooms. There is one large bathroom and toilet, a shower room and toilet and one further guest toilet.